FOOTBALL. KCCA coach Mike Mutebi believes the difference between his side and the rest of the Ugandan teams is the liberty the club’s board has accorded his coaching staff. 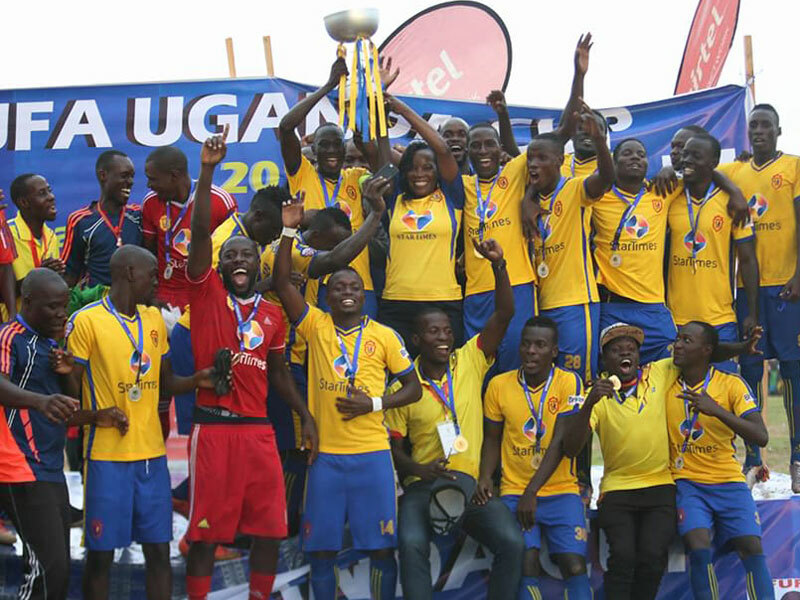 KCCA completed a remarkable season by clinching a historic double in Arua yesterday. The Lugogo-based side became only the third team in Ugandan football to achieve the feat popularly referred to as “Salongo” following an easy 2-0 win over Paidha Black Angels at Betway Stadium in Arua. “Giving people liberty for people who know what they do like me to do what I do best. That is what the chairman Julius [Kabugo] has done for not only me but the whole structure ” an overjoyed Mutebi said after the game. The Kampala Capital City Authority backed club had executive director Jennifer Musisi and Kampala Mayor Erias Lukwago attended the game with the former flying in as they sought to erase the 2015 memories of the FA Cup final loss to SC Villa. And they were not disappointed as KCCA showed the gulf in class against their Big League opponents Paidha Black Angels the second team from West Nile to reach the final in successive years. With only 10 minutes on the clock midfielder Stephen Mwaka lost possession while facing his goal just outside the box. He was duly punished by striker Geoffrey Sserunkuma, who took two touches before toe pocking home with his left foot for his 26th goal of what has been a fruitful campaign. They should have doubled their lead shortly before half time only for referee to wave play on after Derrick Nsibambi appeared to be shoved in the box as he leapt to head a Sserunkuma cross. As the two teams went for the break there was a certain inevitability about KCCA adding a second and it duly arrived 11 minutes after recess. A long ball from Dennis Okot found Nsibambi one on one with Saidi Data with the striker lobbing the Paidha goalkeeper to all but end the game as a contest and silence the capacity crowd at the Betway Greenlight Ground that was rooting for the latter. KCCA received further good news as organisers Fufa surprisingly awarded the player of the tournament accolade to young midfielder Lawrence Bukenya after a stellar performance.